Costa Blanca has a Mediterranean climate that ensures plenty of sun-drenched days and mostly pleasant temperatures. The mountains surrounding the Costa Blanca often prevent that depression and cold fronts reach the Costa Blanca. This will particularly during the winter for that within the coastal region remains warmer than inland. Also, the chance of rainy days this smaller because the Costa Blanca as it were, is sheltered from the bad weather. 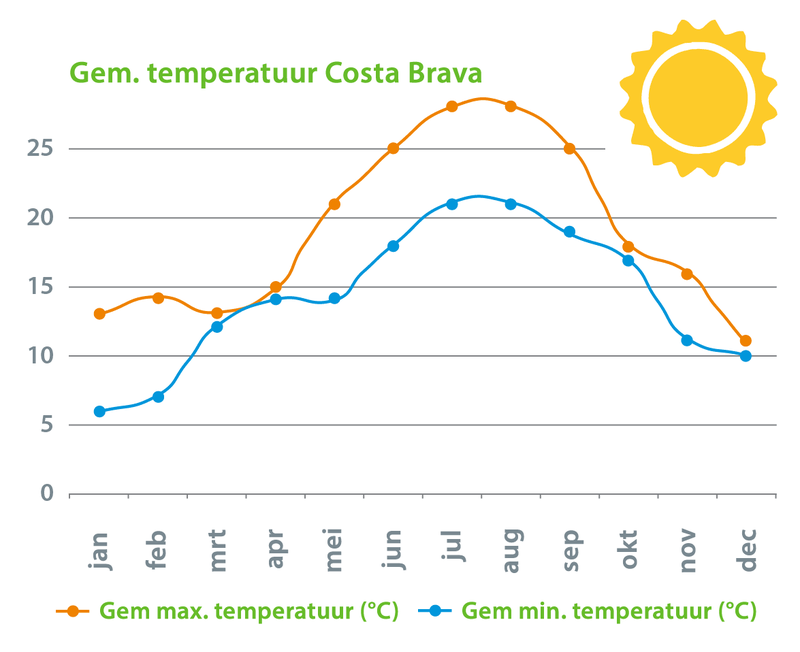 It is this type of climate that makes the Costa Blanca is so popular as a holiday destination. Frost is almost never and extreme heat with temperatures of 40 degrees or higher are not common in this part of the country. The mild dry winters and pleasantly warm and dry summers caused by a Mediterranean climate where the Mediterranean in winter has a warming effect on the region. The Costa Blanca has a Mediterranean climate with the least contrast in weather picture from Spain.